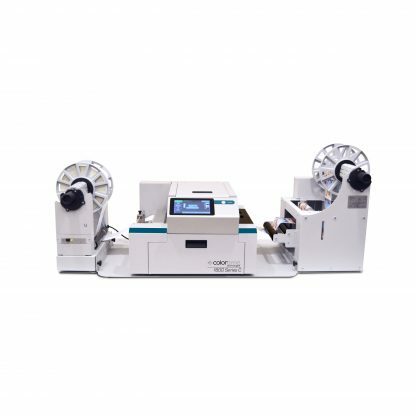 Featuring the new Memjet™ Sirius print engine, the Colordyne 1800-C Full-Color Label Printer (Colordyne 1800-C) offers enhanced versatility and performance with its flat, unobstructed printing path and on-press touchscreen interface. 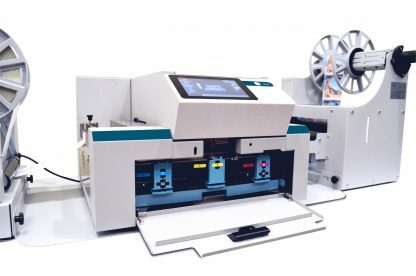 Colordyne’s 1800 Series C Label Printer offers a fast, high-quality and scalable solution to reduce costs and eliminate pre-printed label inventories and waste. Brand owners, private label manufacturers and print providers can produce the exact quantity of high-resolution process color labels and tags the job calls for – large or small. 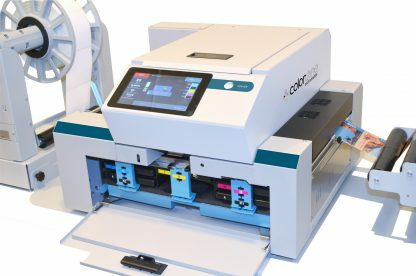 On-demand primary and secondary labeling with integrated variable data and AIDC (automatic identification and data capture) applications have never been easier with the Colordyne 1800 Series C Label Printer. 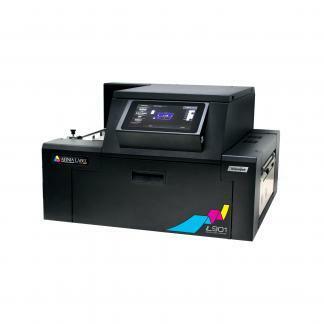 The 1800 Series C provides fast, high-quality print production for product labels, secondary packaging and tag applications with easily integrated variable data and personalization. The 1800 Series C can be easily set up and monitored during production from its 7-inch touchscreen display with frequently used printer functions. Access previously used printer functions including previously saved print jobs, and monitor things such as printer status, ink levels, job status and more. 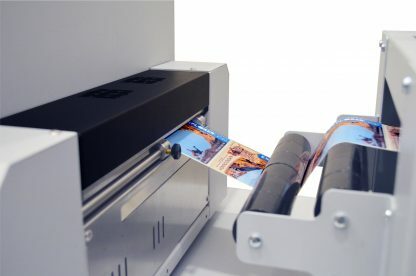 Plus set application formats on screen, including: roll-to-roll1, roll-to-cut2 and fan-fold – making for quick setup and change-over between jobs. 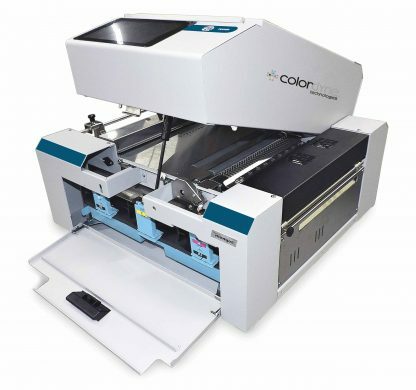 Colordyne 1800 Series users can take advantage of the intuitive print driver that allows users to save job setup information and adjust color settings on-the-fly to save time and eliminate waste in their labeling and packaging environment. The Colordyne Tool Box provides users with the ability to manage maintenance and monitor all actions on the device. Advanced (optional) software support for the Colordyne 1800 Series C Label Printer is provided by Xitron®, which allows users to seamlessly merge designs and layouts with text, images, barcodes and database information to handle the needs of security packaging, tracking, personalization and micro-segmentation. 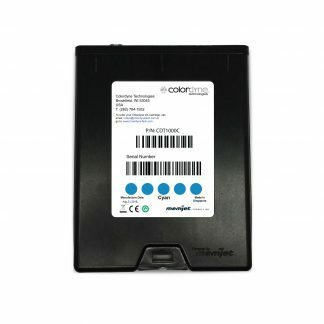 The optional software offered by Xitron® for the Colordyne 1800-C Label Printer includes Xitron® Variegator and the Xitron® Navigator & Variegator RIP Bundle. Variegator is a simple, stand-alone application that makes variable data printing quick and profitable. 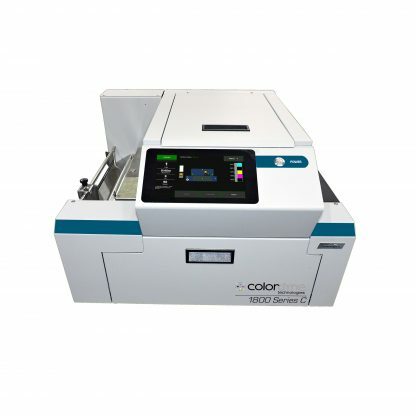 Xitron®’s Variegator unlocks the power of the Colordyne 1800 Series C to produce high-profit variable data labels and packaging. Variegator gives you the tools to produce sophisticated data jobs with elements like variable barcodes, images and colors by dragging and dropping rather than writing complex code. Xitron®’s Navigator Harlequin RIP is a best-in-class implementation of Global Graphic’s Harlequin RIP. This technology is implemented across all of Colordyne’s digital printing platforms, and can be purchased as part of the Xitron® Navigator & Variegator RIP Bundle. Xitron®’s Navigator provides advanced color management and spot color replacement ensures that what you see is what you print, consistently. Navigator is chalked full of additional features including fast, predictable and reliable interpretation of PostScript, PDF, and EPS format files. 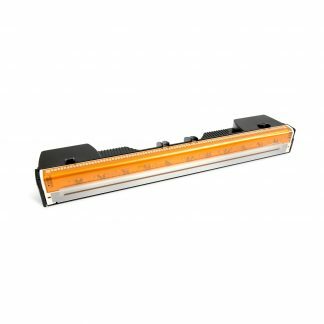 1 Roll-to-roll printing format requires the optional Colordyne 1800 Series Unwinder (CDT1800UW) & Colordyne 1800 Series Rewinder (CDT1800RW). 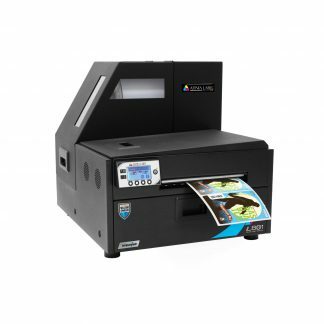 2 Roll-to-cut printing format requires the optional Colordyne 1800 Series Unwinder (CDT1800UW). Review manufacturer's brochure for complete product specifications. The minimum label dimensions can be smaller but require different settings and testing before use. Please contact us for more details before purchasing any custom substrates for your printer.